A construction foreman died from asphyxiation after entering a newly constructed manhole. Four construction workers were working in an inactive sewer system on a job site that was unoccupied for over a week. A few minutes after they started working, the crew noticed that the foreman was missing and a manhole cover was removed. While one worker called for emergency services, a second worker entered the manhole to assist the foreman and found him unresponsive at the bottom of the 20-foot manhole. When the second worker inside the manhole became disoriented, another worker used a fan to blow fresh air into the manhole and the worker was able to climb out. The foreman was retrieved by the fire department personnel and was later pronounced dead due to asphyxiation. 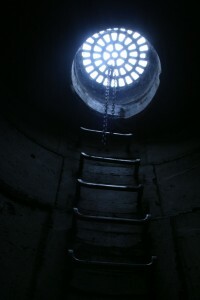 Although the manhole was newly constructed and not yet connected to an active sewer system at the time of this incident, it contained a hazardous atmosphere that resulted in asphyxiation. Obviously, the potential for an atmospheric hazard was not recognized by the workers. The possible conditions that caused the oxygen-deficient atmosphere in this case may be a topic for a future article, but the main point is that confined space fatalities and injuries can and have occurred on construction sites. The Occupational Safety and Health Administration (OSHA) estimates six fatalities and 812 injuries occur each year among employees involved in construction work in confined spaces. OSHA issued a new standard for construction work in confined spaces, which became effective August 3, 2015. The provisions of the final rule for confined spaces in construction (29 CFR 1926, subpart AA) are similar to the confined space provisions for general industry worksites (29 CFR 1910.146, Permit-Required Confined Spaces) that have been in place since 1994. However, there are some notable differences. Knowing the key differences and understanding when general industry regulations apply and when construction regulations apply are necessary to ensure compliance. Is the work maintenance or construction? This is the first question that needs to be answered when determining whether OSHA’s general industry or construction standards apply. If the work is considered “maintenance,” the contractor is must comply with general industry standards. However, if the work is considered “construction,” OSHA’s construction standards apply. Maintenance, repair, or refurbishing of existing equipment falls under the general industry confined space regulations. Examples of “maintenance” operations include cleaning, inspecting, repainting, and/or replacing components similar to the existing tank, vessel, or structure. Whereas, “construction” operations consist of the reconfiguration or installation of substantially new equipment. Prudent facility owners incorporate specific confined space requirements into the contract with their maintenance and construction contractors to ensure the parties involved have a clear understanding of the confined space requirements that apply to each contractor’s scope of work. What are the key differences in the construction rule from the general industry rule? 1. More detailed provisions requiring coordinated activities when there are multiple employers at the worksite. The controlling contractor is in the best position to convey information to other employers at the worksite. These provisions also attempt to prevent hazards being introduced into a confined space by workers performing tasks outside the space. An example would be a generator running near the entrance of a confined space that could cause a buildup of carbon monoxide within the space. 2. Incorporating the term, “competent person,” with the same definition for this term as contained in other OSHA construction standards. A competent person means a person capable of identifying existing and predictable hazardous conditions, and who has the authority to address them promptly. The construction standard requires that a competent person evaluate the worksite and identify confined spaces, including permit spaces. 3. Requiring continuous atmospheric monitoring whenever possible. 4. Requiring early warning systems that continuously monitors non-isolated engulfment hazards. For example, when workers are performing work in a storm sewer, a storm upstream from the workers could cause flash flooding. An electronic sensor or observer posted upstream from the work site could alert workers in the space at the first sign of the hazard, giving the workers time to evacuate the space safely. 5. Allowing for the suspension of a permit, instead of cancellation, in the event of changes from the entry conditions list on the permit or an unexpected event requiring evacuation of the space. The space must be returned to the entry conditions listed on the permit before re-entry. 1. Requiring employers who direct workers to enter a space without using a complete permit system prevent potential hazards in confined spaces through elimination of the hazard(s) or isolation methods such as lockout/tagout procedures. 2. Requiring employers who are relying on local emergency services for emergency services arrange for responders to give the employer advance notice if they will be unable to respond for a period of time (because they are responding to another emergency, attending department-wide training, etc.). 3. Requiring employers to provide training in a language and vocabulary that the worker understands. Finally, several terms have been added to the definitions for the construction rule. Entry employer is an employer who directs workers to enter a space. Entry rescue is another term that was added to clarify the differences in the types of rescue employers can use. The OSHA confined space in construction rule makes the controlling contractor, rather than the host employer, the primary point of contact for information about permit spaces at the work site (see Figure 1). The host employer must provide information it has about permit spaces at the work site to the controlling contractor, who then passes it on to the employers whose employees will enter the spaces (entry employers). Likewise, entry employers must inform the controlling contractor of the existence, location, and danger posed by each permit space. The controlling contractor is required to subsequently pass that information on to other employers at the worksite and to the host employer. The controlling contractor is also responsible for making sure employers outside a space know not to create hazards in the space, and that entry employers working in a space at the same time do not create hazards for one another’s workers. After entry operations, the entry employer must inform the controlling contractor in a timely manner of the any hazards confronted or created in the permit space(s) during entry operations, and the controlling contractor must debrief each entry employer on any hazards confronted or created in the permit space(s) during entry operations. 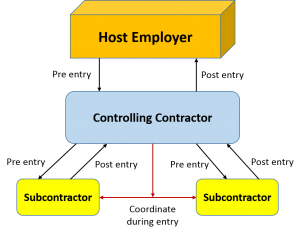 The controlling contractor must also apprise the host employer of the information exchanged with the entry employers. What is the status of previous OSHA’s confined space provisions that existed prior to the current rule? 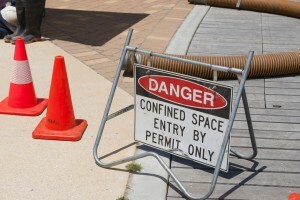 Prior to the promulgation of OSHA’s final rule for confined spaces in construction, OSHA had one provision in its construction standards for a general training requirement when employees worked in confined or enclosed spaces. This provision in 29 CFR 1926.21(b)(6) required employers to train employees as to the nature of the hazards involved, the necessary precautions to be taken, and in the use of protective emergency equipment required. As a result of the promulgation of the current rule (subpart AA, Confined Spaces in Construction), the provision in 1926.21(b), or any guidance previously provided with respect to this provision, is no longer applicable or in effect. OSHA’s construction regulations also contain requirements dealing with confined space hazards in excavations (subpart P), underground construction (subpart S), and underground electric transmission and distribution work (subpart V). OSHA updated subpart V in 2014, which required compliance with the general industry standards for confined spaces in underground transmission and distribution work, pending the promulgation of the confined spaces in construction standard. OSHA is amending subpart V to replace references to the general industry confined space standards with references to the construction rule. The confined space in construction standard (subpart AA) does not apply to underground construction (subpart S) and excavations (subpart P) as long as that work falls within of the scope of the respective subpart. There are 27 states and territories that have their own OSHA-approved state plans (covering private sector and state and local government employees). There are five additional states and one territory (Connecticut, Illinois, New Jersey, New York, and the Virgin Islands) that operate plans covering state and local government employees only. States that have their own OSHA-approved plans must have standards at least as effective as the Federal rule, which should have been completed within six months of the promulgation date of the final Federal rule.